There are several ways to decorate your cushions with paint. We'll explain how below! 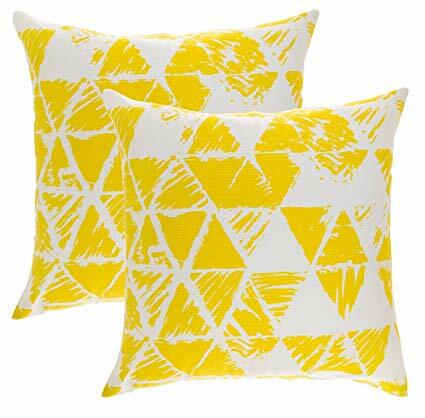 When decorating your cushions with DIY prints, the first step is washing the cushion covers. Then, once they’re dry, check that they’re not wrinkled. If you need to, iron them quickly so you can work comfortably and get a good finish. Also, take into account the color of the cushion when choosing a paint color. This will give you a beautiful and sophisticated result. In addition, remember that pastel cushions are very popular. 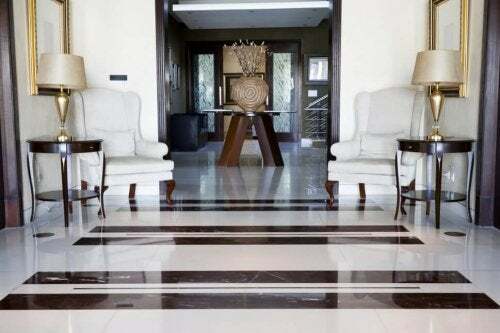 Although metallic decorations provide brightness and elegance, you can also use white and black to avoid competing colors. 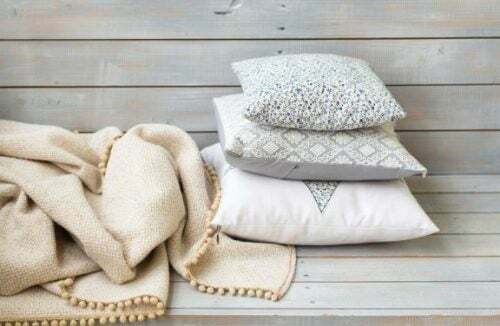 Next, we’ll give you some simple techniques to give your cushions a special touch. First, you need to create your own template. Draw triangles on the cardboard. Next, cut out the triangles so that they leave cutout spaces in the cardboard. Then, place the template on the cushion. Make sure that the base of the template is 10 millimeters above the cushion’s seam. Next, secure the template with clothespins and spray paint the cushion. Finally, let the cover dry before putting it back on the cushion. First, measure the cushion with the ruler. Next, create horizontal lines that divide the cushion into three equal sections. Then, with the help of the rule, trace the lines. It doesn’t matter if you can see the pencil since you’ll go over them with the marker to give them more definition. Create a pattern in the upper section with the pencil and then repeat the pattern in the lower section. In the middle section, vary the pattern to create a more interesting look. Finally, go over the patterns with the marker. On another cushion, you can repeat the same pattern. However, on others, you can make the divisions diagonally or vertically so that the cushions don’t match completely. First, stretch the cushion cover. Then, using the leaves or templates, create a design on the cotton fabric with paint. Once you have the cotton completely painted, carefully place it on the cushion so the painted side is on the top of the cushion cover. Then, wait for a few seconds to allow the paint to soak into the cushion cover. Finally, remove the cotton, little by little, and let the paint dry. You can do this with one large leaf that covers the entire cushion, or with several small leaves. 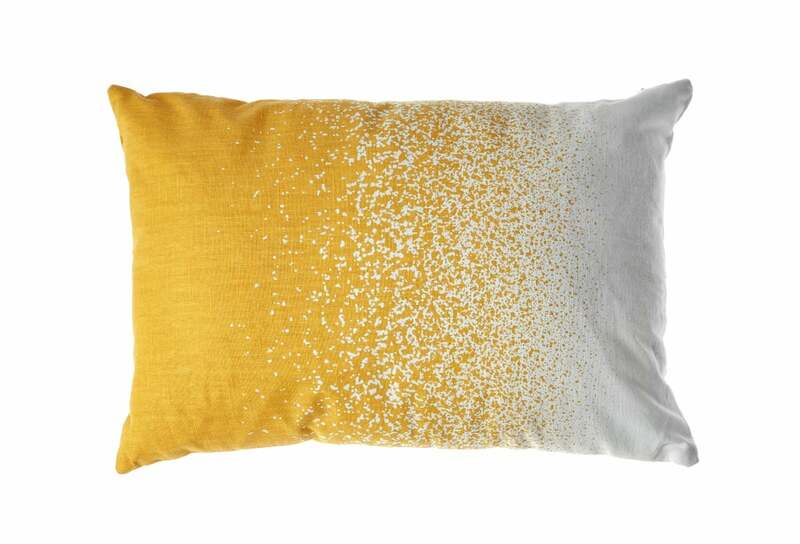 This is one of the simplest ways to add DIY prints to cushions. First, take the first brush and dip it in turquoise paint, without taking away too much of the excess paint. Then, move the paintbrush back and forth over the cover, letting drops of paint fall onto the cover. Next, repeat the process as many times as you want. However, always start from the same point so that the drops have the same direction. Finally, take the other brush and dip it in the light blue paint. Repeat the same process. However, you only need to do this a few times since the idea is to give a touch of color without hiding the background color. On a black cushion, you can work with a white or metallic fabric marker. Also, as for designing a pattern, try to keep it simple. If it’s hard for you to draw geometric designs, you can always make a template. In addition, you can also use simpler designs. Also, you must always bear in mind the instructions for the paint. In some cases, it may be necessary to iron the cover once it dries to fix the paint to the fabric. On the other hand, don’t forget that when washing, you need to be careful with the water temperature (usually not above 30 degrees) so that the paint doesn’t come off. Before making any DIY prints on your cushions, test out the technique on a bit of cardboard or paper. This way you can check if you’re doing the technique correctly or make the necessary corrections. Therefore, you should avoid working directly on the cushion initially.